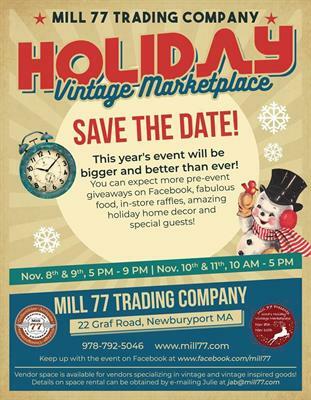 Join us for two full days of Mill 77's Annual Holiday Vintage Marketplace! Our Annual Holiday Vintage Marketplace is fast approaching! We hope you?ll join us for the fun, the food, the pop-up vendor market and the holiday cheer!